Shelby Fredericks was a star on two stages. Most days, she shined on the lacrosse field, lining up as one of the top draw specialists and attackers in the country. 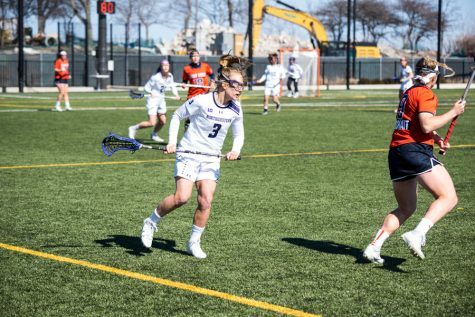 On a Saturday in April, she finished with nine assists and nine draw controls against Rutgers, on her way to setting the all-time Northwestern record for career draw controls. 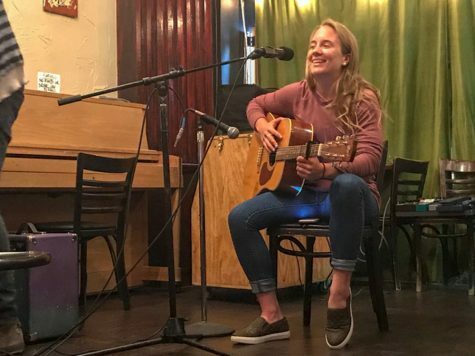 Two days later, she took the literal stage, sitting on a chair with just a microphone and a guitar, performing two original songs for the first time at an open-mic night at Kafein, a coffee shop in Evanston. To understand Fredericks, it’s necessary to consider what each stage allowed her to do: one let her give to something bigger than herself, and the other enabled her to be herself, she said. Fredericks said the person she is today is completely different than the freshman who arrived on campus in fall 2014 as a highly-touted recruit from Babylon, New York. Despite battling injuries that kept her out for her freshman and much of senior seasons at Babylon, she finished with 368 career points and 225 goals. Fredericks committed to Northwestern when she was in ninth grade, but said she’d dreamed of joining the program since attending one of coach Kelly Amonte Hiller’s summer camps in middle school. Shannon Smith (Weinberg ’12), the program’s all-time leading goal scorer, coached Fredericks on the Long Island Top Guns summer club team. Smith noticed Fredericks’ competitive drive early. Shelby Fredericks eyes an opponent. Fredericks leaves Northwestern lacrosse with the most draw controls in program history. Fredericks said her focus on taking the draw didn’t begin until she arrived at Northwestern. She took the draw occasionally in high school, but also played on the circle and behind the line; once she joined the Wildcats, she worked with Amonte Hiller and former assistant coach Danielle Spencer to develop the skills she has today. The attacker tallied 496 total draw controls, 108 assists and 166 points, setting additional records for most draw controls in a season (165 during her junior year) and the third-most career assists. Fredericks averaged the third-most assists (2.94) and tied for the fifth-most draw controls per game (8.0) in the country her senior season. She noted that one of the most important aspects of the draw doesn’t even involve hands or height or even the stick, but rather the mind. Shelby Fredericks performs at Kafein’s open mic night on April 23. The lacrosse star said she’s found another side of herself through music. How does music fit into this story? She started accompanying Murray to open-mic nights at Kafein before Murray graduated, but never performed herself. 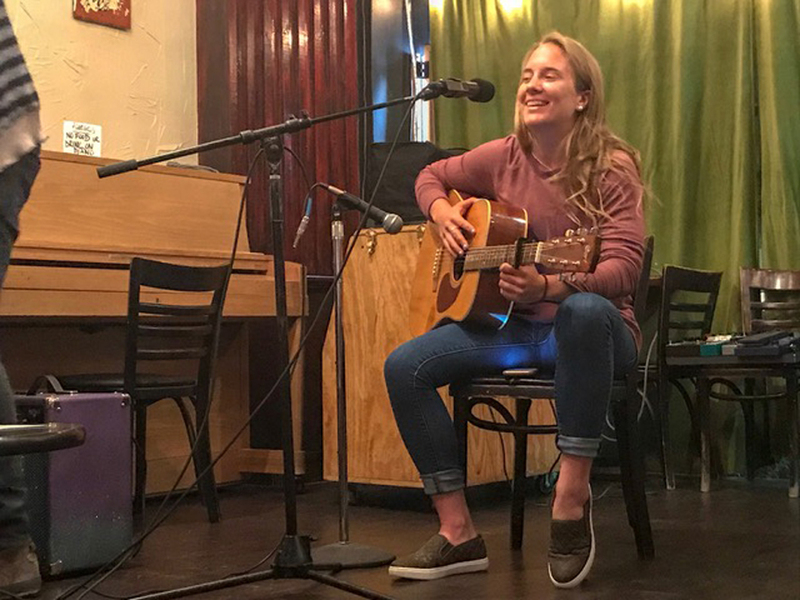 That changed on April 23, two days after her stellar performance against Rutgers, when Fredericks made what she called a spur-of-the-moment decision, took her guitar and headed to Kafein to perform solo for the first time. “It’s hard to share that, (because) it’s your own words, and it’s kind of like reading from a diary, but it was a really freeing feeling,” she said. 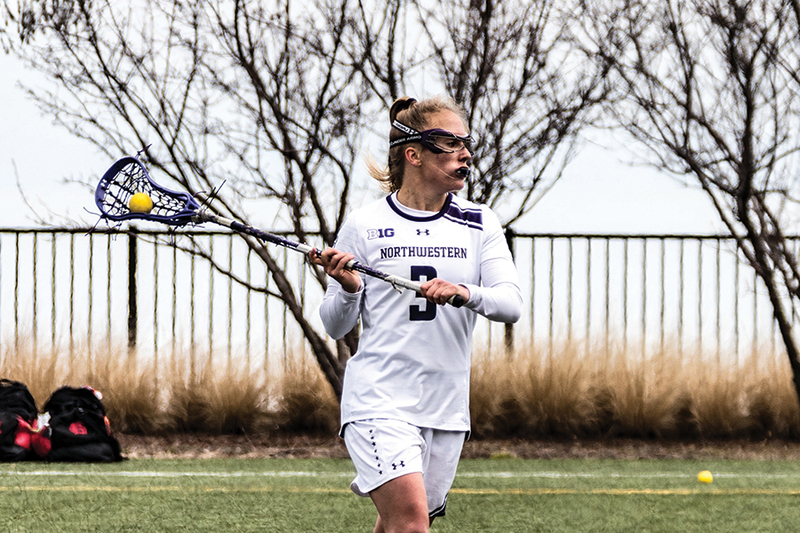 Fredericks said Northwestern’s program has shown her that she loves to give to things that are more than herself, and even more than lacrosse. That spirit is evident when she talks about her future, and her dream to become a head coach someday. At the same time, she said Northwestern lacrosse has also taught her to be her full self: not just Shelby Fredericks the lacrosse player and not just Shelby Fredericks the open-mic performer, but both.